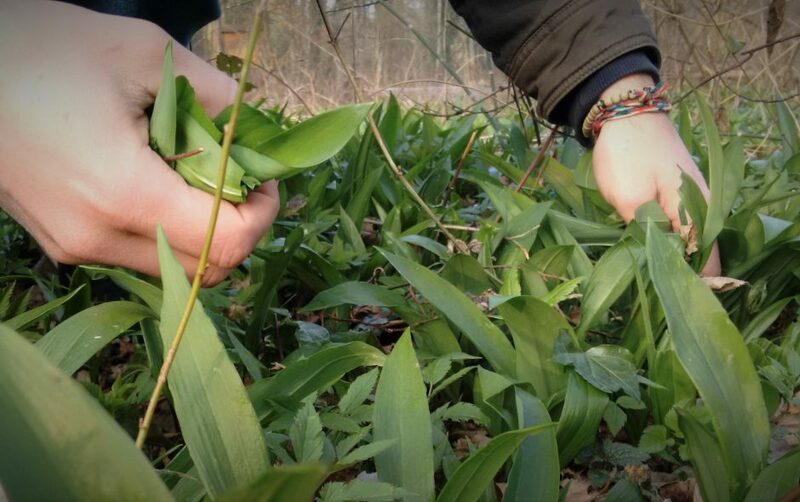 So Spring is well and truly here and for those of you who haven’t noticed, wild garlic is currently in abundance amongst woodlands and forests. You need to be quick though – its only around for about 6 weeks and its already been out for about 3, shooting up with its waxy green leaves and distinctive aroma.  Its a real shame that such a tasty and easily collected wild food is only here for such a short period of time, so for us we feel its best to make as many uses of it as possible whilst it is still here. One other brilliant feature of the wild garlic that we weren’t already aware of is that it seems to keep very well in the fridge, in a sealed food-bag. We’ve collected quite a large handful and it kept fine in the fridge for at least 10 days (although I did manage to find a few snails that had also enjoyed their free holiday and all-you-can-eat buffet). The first day the garlic was picked (which is an easy process – just tear off the leaves, which hopefully will grow back), and these leaves were then shredded and dressed simply with olive oil and a sprinkling of salt. This was served alongside some couscous and a burger. Wild garlic has the same distinctive flavour as that of normal garlic, but the leaves are a lot milder and less pungent. You don’t actually use the bulb of wild garlic, and in any-case this is a lot smaller than the shop brought, cultivated variety. 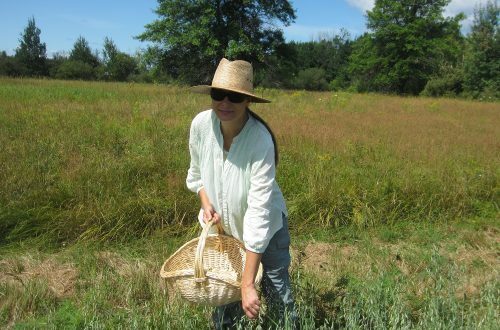 The health benefits of garlic are already pretty well known – in medieval times it was considered to be an ailment for just about anything, from the plague to the common cold. Nowadays, thanks to some more scientific research, its believed that garlic can help reduce high levels of cholesterol and prevent heart disease. It can also help with reducing blood pressure and is an antioxidant and is anti-bacterial. 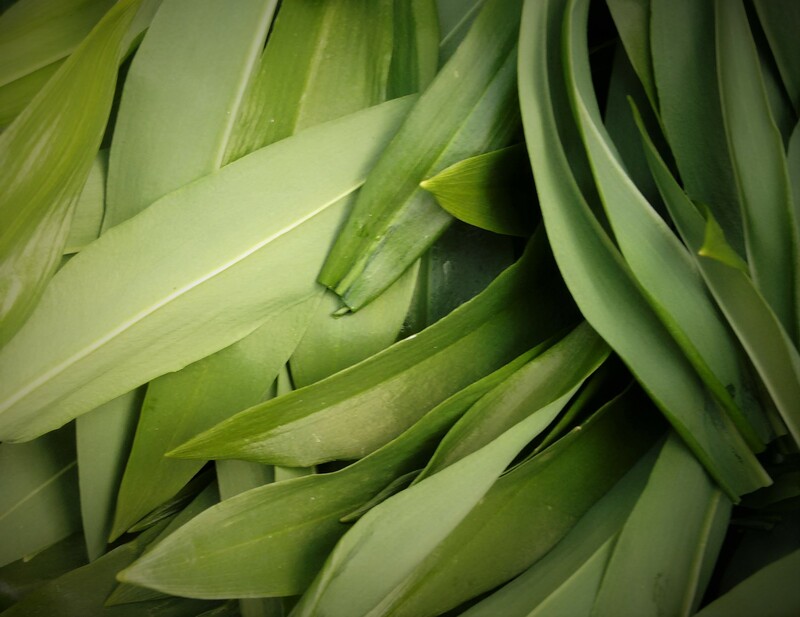 The wild garlic leaves are less effective than the larger bulbs of the cultivated variety, but of course still contain plenty of nutritional benefits (whilst being very delicious too!). One of our favourite recipes to make use of the wild garlic leaves, and which also serves as a preservative meaning the garlic can be used and then stored in the fridge for several months, is of a very simple garlic pesto. The wild garlic pesto recipe is really just the same as your typical basil pesto recipe, replacing the basil for garlic leaves and also adding a few spinach leaves to balance the flavours a little. All your usual suspects are involved – pine nuts, Parmesan cheese, olive oil and lemon zest. Simply place a handful of pine nuts and the Parmesan cheese in a food blender then add a little lemon zest. Add a large handful of garlic leaves followed by a much smaller bunch of spinach leaves. Blend up before trickling in the of olive oil. Follow this up by seasoning with salt and pepper, to taste. If you’re not going to be using all of the pesto within a few days, or maybe you want to make up a big batch that will make use of the abundant wild garlic and preserve it at the same time, then when finishing pouring the pesto into a jar you should top with a thin layer of olive oil. Keep this in the fridge, and keep topping up to ensure there is a thin level of olive oil upon the surface. This will prevent oxidisation of the wild garlic pesto, enabling you to enjoy it for many more months.